Unfortunately, many people take advantage of government benefits. You have likely heard stories of people working while on unemployment. Even those injured in the workplace sometimes go on to work somewhere else while obtaining workers’ compensation benefits. This was the case for a New York man. He claimed he was out of work due to an injury when in fact he was working for the family business. The 54-year-old man from Bath was arrested on November 8 after an investigation found that the man was working on his family farm while receiving workers’ compensation benefits. The man was injured while working at Bath Electric, Gas & Water in July 2017 and started receiving workers’ compensation benefits. A few months later, the man starting selling and delivering merchandise for his family business. At the same time, he was reporting to New York’s Workers’ Compensation Board that he was not working in any capacity. Between December 2017 and May 2018, he received $15,842.50 in illegally obtained workers compensation benefits. The man is accused of misleading and abusing the state’s workers’ compensation system. He faces several charges, including first-degree perjury, third-degree insurance fraud and third-degree grand larceny—all felonies. He was arraigned and released on his own recognizance. Workers’ compensation benefits are available to those who are injured on the job and truly cannot work while recovering from their injury. These benefits pay for lost wages and medical expenses caused by the workplace injury. Claimants are expected to report to the Workers’ Compensation Board regularly and be truthful about their situation. However, some people engage in scams to profit from this system. Every year, billions of dollars are lost due to these scams. Many of these scams involve false claims. Many people make false claims in order to gain access to free money. While receiving this “free money,” the scammers then take on a second job, so they’re essentially making double the income. If they don’t take on another job, then they get a free vacation. They may take a trip, play sports, fix up their house or engage in some sort of hobby while the checks come in. To initiate these claims, scammers may get injured at home and then pretend the accident happened at the jobsite. They may also exaggerate the injury so they get more time off work. Many scammers tend to claim they have back and neck problems, as these soft tissue injuries are hard to disprove. Workers’ compensation benefits are given to those who are injured on the job and cannot work. The benefits are in place to replace workers’ regular wages to some degree. The program does not allow for applicants to double-dip and work another job while receiving benefits. 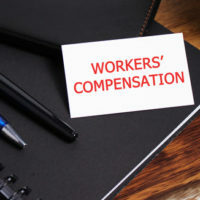 If you have questions or concerns about your workers’ compensation benefits, contact the Law Office of Michael Lawrence Varon in White Plains. If you engage in fraud, you could face serious charges. Get the facts today. Schedule a consultation by calling 914-294-2145.